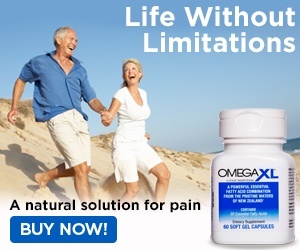 Next review Omega Xl - Needed Pain Relief but Got A Pain in the Pocket Instead! Omega Xl - RIP OFF FROM THE GET GO!! Cancelled and still received more product. Jun 26, 2015 We are sorry to learn that you had an unsatisfactory customer service experience. As you requested, the service professionals in our Customer Advocacy Group have contacted you. They advised there had been a clerical error when you first cancelled your order. This had been corrected already and a refund issued. The call concluded on a satisfactory note. We thank you and your mother for your business, and wish you both well. My mother ordered this for me when she saw the ad for pain relief. As soon as she told me what she did I explained to her the problems with these types of products and trying to get rid of them. After a month I called and cancelled the order instead of waiting the 90 days like they said it takes to work. We spoke to "Olga" who said to keep trying the pills but she would put in our order to cancel. That was on April 27, 2015. Then on Saturday May 9,2015 we received another order. This is a company that is not to be trusted. I guess I'm going to need to cancel the credit card to get rid of them. She is in her late 70's and doesn't understand the complexities of the modern world. She trusted their ads that say you can cancel at anytime and I explained that these types of companies only want that credit card number so they can RIP YOU OFF!!! If their practices don't get to you then the taste of these pills will. I would like to find out what they put in these pills because they are the worst smelling pills I have ever taken. I have learned to search companies out before buying from them but my mother is old and got ripped off. Now it is my job to fix this & deal with this company. Preferred solution: Take back this latest order and not send anymore..
Review #633573 is a subjective opinion of rickwms.sf.